MathMadeEasy.com Blog: Student Becomes Gifted in Math After Working with Our Tutors and Products! Student Becomes Gifted in Math After Working with Our Tutors and Products! Christina Moan is a student who has been using Math Made Easy's math software and online tutoring. Her mother recently contacted Math Made Easy to let us know that because of her testing on the math section of her standardized test Chrstina has been selected to attend a school for the intellectually gifted in Montreal next year. She started out using tutoring with Math Made Easy because of low math grades just a few months ago. 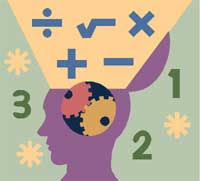 Every student gets the advantage of individualized math help. After learning about your student’s current skill-level and learning style, we generate an individualized learning plan that specifically addresses their needs. We then teach the curriculum at a pace appropriate to your child. Do not worry about tutoring sites, online tutors. Here You can find Private Tutor, Online Tutoring and Online Tutor, Online Tutoring or Tutoring online, Find A Tutor and Online Tutoring Services.